When I read about Tim Ho Wan being the cheapest Michelin starred dim sum restaurant in Hong Kong, I knew I would have to give this place a try. It turned out that the Sham Shui Po branch was only a few minutes from the Youth Hostel where I stayed. We started our day at Cho Binh Tay market right in the heart of the chinatown. The Cho Binh Tay market is not as touristy as the Ben Thanh market in the center. It’s really worth a visit if you want to see a real market without being yelled at every 2 seconds. Is it food? Is it delicious torture? I guess that Yang’s Fry-Dumpling could fall in both categories. Let’s make one think clear from the get go, I like my food spicy, but before coming to Shanghai I had never dealt with food so “molten lava” hot. Yang’s Fry-Dumpling wins the palm for the hottest food in Shanghai. 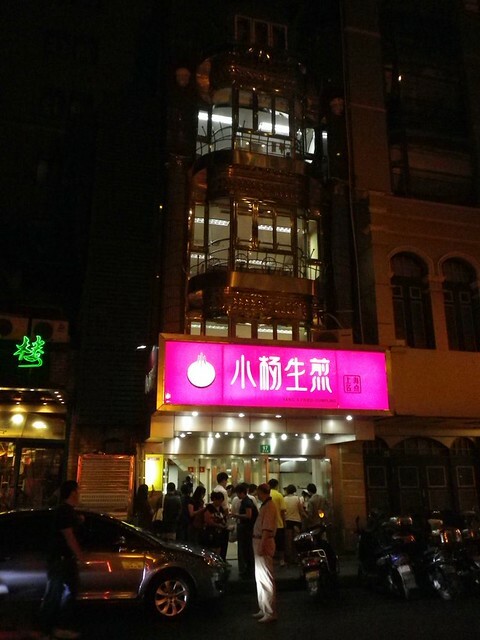 This shengjianbao dumpling restaurant is a Shanghai institution and comes highly recommended all over the internet so I was really curious to get a taste of these famous dumplings.